GrafiWrap Vehicle Wrapping System is a registered trade name for a combination of materials used in the “wrapping” of a vehicle. The GrafiWrap system is a sandwich made up of a cast vinyl with grey adhesive (S34P/AE38) accompanied by a protective cast laminate LAMX40 (gloss) and LAMX45 (matt). 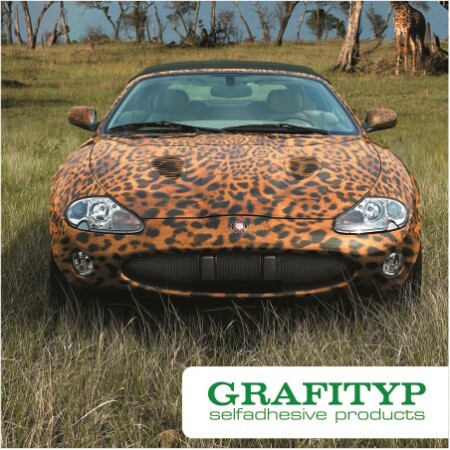 Being a printable material, GrafiWrap provides unlimited scope when it comes to what will be displayed on your vehicle and gives the flexibility to change advertising campaigns frequently without the need for an expensive respray. With GRAFIWRAP, the combination of these two materials makes a soft and exceptionally flexible 90 micron film, which fits around your vehicle as a “second skin”.